A Goldlympics participant taking part in the Beanie Dash event. More than 100 seniors, oldest being 84, proved that one can go “faster, higher, stronger” at any age. 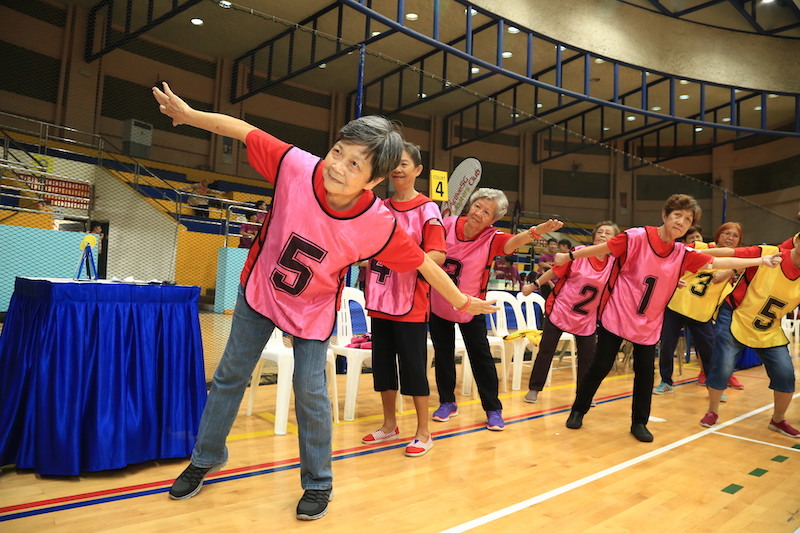 Jointly organised by Yishun Health, ActiveSG Masters Club and Team Nila, the inaugural competition celebrated active living for seniors aged 50 and above, encouraging them to keep fit and have fun even in their golden years. Drawn from Yishun Health’s Wellness Kampung (which comprises of three wellness and care centres for residents in the north) and community partners, the competitors had a median age of 68 and the majority hailed from the northern region. After the Goldlympic flame was lit, the teams competed in three games, which were designed to allow seniors of all functional abilities to participate: Chair Volleyball, Human Tic Tac Toe and beanie dash. With Singapore’s ageing population, staying healthy and active in the community is crucial. 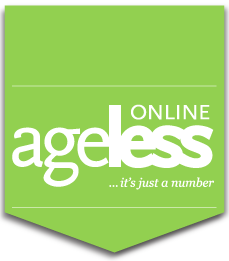 Goldlympics is the latest platform that Yishun Health is engaging its elderly population with. The event also aims to promote social bonding, inclusivity and intergenerational connections. Many family members were at hand to cheer on their parents and/or grandparents. Indeed, Stella High School students ran eight carnival booths as part of the event, with three games specially designed by the students to encourage families with seniors to bond over physical activities. Performers from the MINDS MeToo! Club and North West CDC DanceFit Club also put on items during the opening and intermission. “It’s a good idea to have such events for seniors. 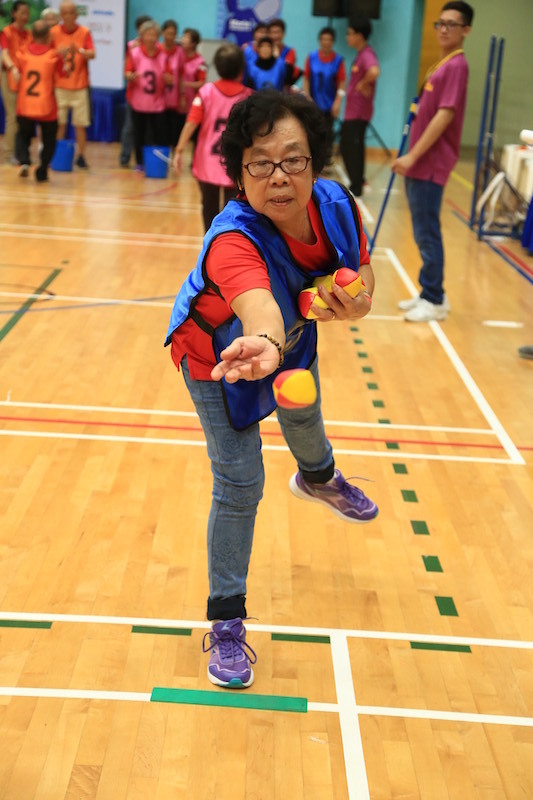 Staying active prevents physical and mental health problems from setting in, and such activities also promote bonding and interaction,” said P H Yeo, 82, who took part in the Human Tic Tac Toe event.